Direct buses run from Geneva Airport to Annecy, Grenoble, and Chamonix while other towns in France can easily be reached by train and bus from Genève. Many further shuttle services are available to ski resorts during winter. Buses and trains provide transportation from several towns in France to Geneva Airport (GVA) in Switzerland. Year round bus services are available directly from the airport to Chamonix, Grenoble, Chambéry, and Annecy, while many further towns can be reached with transfers and by train. Many more ski transfer buses operate during the winter sport season to most resorts in the French Alps. French towns close to Geneva, such as Ferney-Voltaire and Val-Thoiry, can be reached cheaply by Genève public buses. Bus fares can usually be paid in either euro or Swiss franc. Bus tickets on public buses are often cheaper when purchased online or from ticket windows rather than directly from the bus driver. All buses stop and depart from the Swiss or International sector of Geneva Airport. No buses are available from the French sector. During the winter, many more ski transfer buses are available to winter sport resorts in the Alps. Regular buses are not available to ski resorts in the Jura Mountains. Private airport transfers may be a good option for small groups, families, and travelers heading to destinations not readily served by public transportation. Compare prices and book in advance. Taxi2Airport and Suntransfers give easy online quotations. Return journeys are usually much cheaper than two single tickets. Round-trip tickets are usually valid for two months. Online reservations are usually slightly cheaper too. Some public buses have a surcharge if tickets are bought from the driver. Tickets for many buses are available from the visitors’ center in the arrivals hall of Geneva Airport. Many buses have a surcharge for journeys starting at Geneva Airport – sometimes the bus is around €10 cheaper if the journey starts from the downtown Geneva bus station. Child fares are usually available for children 4 to 12 (sometimes only up to 10). Group fares are given to four (sometimes six) adults traveling together. Some bus services give discounts for under 16 /18 / 26 and over 60 year olds, families, and couples. Some transfers require reservations and most require reservations for the trip back to Geneva Airport. Car and Autocar are French for long-distance touring buses and should not be confused with the similar English terms for passenger cars. Direct bus connections from Geneva Airport to Chamonix run four to five times per day but more frequently in winter. Several transfer services compete on this route with reservations essential on many, especially during winter. Cham’Express and SwissTours operate year round while Alpybus and Lihsa T74 offer slightly cheaper services during the ski season. Buses from Geneva Airport to Chamonix takes 90 minutes to two hours. Adult fares range from €20 to €30 one-way with slight discounts available for return services on some buses. Aerocar operates up to six buses per day between Geneva Airport, Crolle, Chambéry and Grenoble. Traveling times to Geneva Airport are two hours from Grenoble, 90 minutes from Crolle, and an hour from Chambéry. 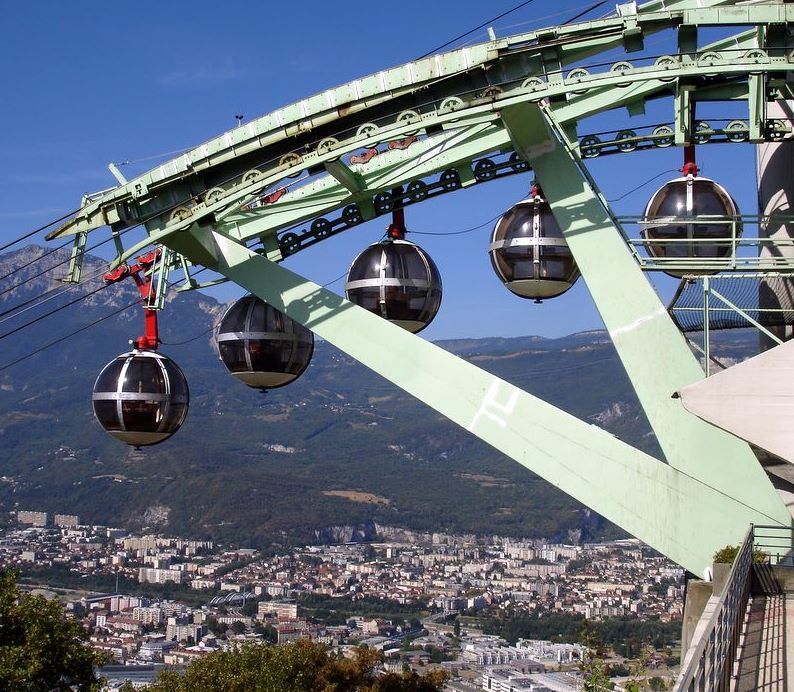 From Grenoble, connection buses are available to Alpe d’Huez, l’Isere, Briancon, and Serre Chevalier. Tickets for the Aerocar can be bought online, from many travel agencies, the Accueil France desk at Geneva Airport Arrivals Level, and from the drivers. Reservations are not essential but a good idea. The adult fare from Geneva Airport is €50 one way (€64 return) from Grenoble or Crolle and €38 (€48 return) from Chambéry. Discounts are available for travelers under 26 and over 60 years old, families, and couples traveling together. Up to 11 buses operated by Lihsa T72 / Transalis connect Geneva and Annecy via St Julien. These buses stop frequently with the journey taking up to two hours with a few express buses taking just over an hour from the airport to Annecy. Some of these buses do no depart from Geneva Airport but rather from Genève Gare Routière, which is around 400 m south (towards the lake) from Geneva’s main train station (Gare Cornavin). One way tickets are €14 for departure / arrivals at the airport and €10.50 for journeys from the Gare Routière. Many other places in France can easily be reached by public transportation but with transfers at either Gare Cornavin train station or Genève Gare Routière long-distance bus station. From the airport, the free Tout Genève ticket allows for free transportation by train or bus to Gare Cornavin, as well as bus Y that connects Ferney-Voltaire with Thoiry and CERN via Geneva Airport but only while the bus or train is inside Switzerland. Buses are available from Genève Gare Routière to Evian and Thonon-les-Bains but with large gaps in the timetable. Traveling time to Evian is 90 minutes and an hour to Thonon. Train services from Geneva train station to destinations in France include Paris (3h05 by TGV Lyria), Lyon (2h), Dijon (3h), Bourg-en-Bresse (2h), Besancon (4h), Bellegarde (1h), and Aix-les-Bains (2h). French trains may be booked through RailEurope (USA) or Voyages SNCF (UK).